Mellow Monk's Green Tea Blog: Sneak preview of a new tea! Everyone at Mellow Monk is super-excited about a new tea that is on its way — Crimson Grove, black tea made from green tea varietals. 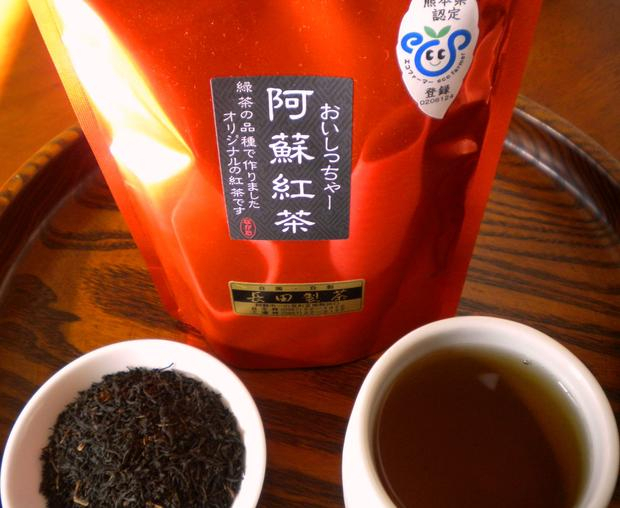 "Crimson" comes from the Japanese name for black tea: koucha, which literally means crimson tea, from the brew's color. To make the tea, the growers harvest leaves from the same varietal of tea plant used to make their delicious, exclusive green tea, then let the leaves oxidize just slightly before continuing with the teacrafting process. The result is unlike anything you've ever tasted — a smokey aroma and a surprisingly sweet taste, with lightly nutty overtones. This tea must truly be tasted to be believed. And you will all have your chance soon. Stay tuned! Note the Eco Farmer certification sticker in the upper right.